New York, NY – June 8, 2016 – Today Academy Award®- winning actor and advocate Geena Davis and CreativeChaos vmg announced a partnership to produce a new untitled feature documentary on gender disparity in Hollywood. Set to direct the film is Tom Donahue, director of the Emmy-nominated HBO feature documentary ‘Casting By,’ which followed the evolution of casting in the film and television industries and raised awareness for the contributions of the casting director. The story will be told through the eyes of experts and researchers and using cutting edge data provided by The Geena Davis Institute on Gender In Media, as well as first-person accounts of high-profile actors, executives and artists in the field. It will take a systemic look at unconscious bias and seek to provide a roadmap for solutions and act as a catalyst for change. The film is being produced by CreativeChaos vmg in association with the Geena Davis Institute on Gender in Media, the only research-based organization working behind the scenes in the media and entertainment industry to influence the need to dramatically improve gender balance, reduce stereotyping and create diverse female characters in entertainment targeting children. 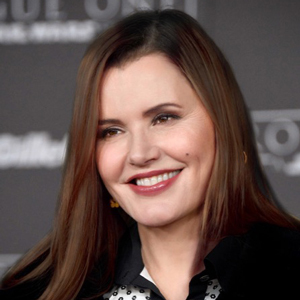 In partnership with the Geena Davis Institute on Gender in Media, the film is being produced in association with the Artemis Rising Foundation, founded by three time Emmy award winning and two time Oscar nominated producer Regina K. Scully (‘Anita Hill,’ ‘Miss Representation,’ ‘Invisible War,’ ‘Hunting Ground,’ ‘Fed Up’). The Artemis Rising Foundation has helped launch ground-breaking projects focused on media activism, education reform, and entertainment/arts that transform our culture. “I am proud to support both Geena and Tom’s extraordinary work on two of the most important issues of our time, gender parity and mental health,” stated Ms. Scully. Filming is set to commence in early June. Madeline Di Nonno, Patty Casby and Steve Edwards are also attached as Executive Producers. Ilan Arboleda and Kerianne Flynn are set to produce. CreativeChaos vmg is a New York­-based feature film, documentary and television production company. Founded in 2010 by Tom Donahue, Ilan Arboleda and Steve Edwards, CreativeChaos focuses on provocative projects that can move the dial of the cultural conversation. Social disruption is the cornerstone of the company’s work. The Geena Davis Institute on Gender in Media, at Mt. St. Mary’s University, is the only research-based organization working behind the scenes in the media and entertainment industry to influence the need to dramatically improve gender balance, reduce stereotyping and create diverse female characters in entertainment targeting children. www.seejane.org. Regina K. Scully is the Founder and CEO of Artemis Rising Foundation, a philanthropic organization dedicated to developing and promoting media, education and the Arts that transform our culture.